5KM / 6 HOURS. EARLY MORNING PICK-UP IN AMMAN OR MADABA. 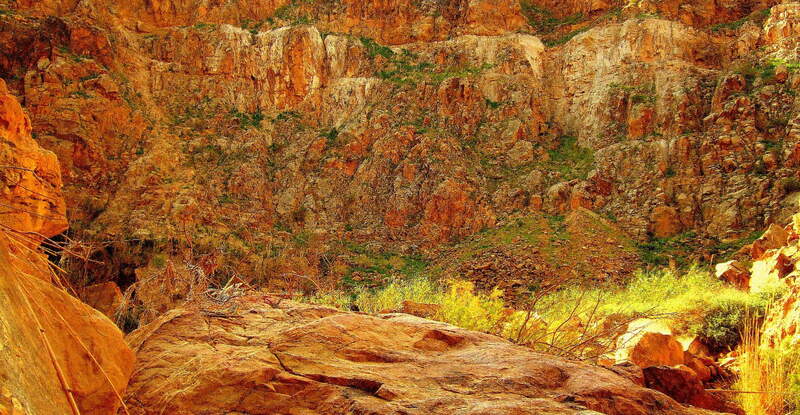 From the trailhead you walk upstream, reaching the first of the canyon's waterfalls after about an hour. Beyond the falls the track follows a beautiful series of cascades, and then winds between enormous boulders to where a higher waterfall drops into a pool hidden behind trees. If you like you can cool off under these falls and enjoy lunch here before heading back downstream. There are magnificent views down towards the Dead Sea as you descend. Transfer back to Amman or Madaba from the end point. We had a great hike through this gorgeous canyon. Our guide, Atef, is probably the best guide we ever had: patient, intelligent, knowledgeable and with a good sense of humour. 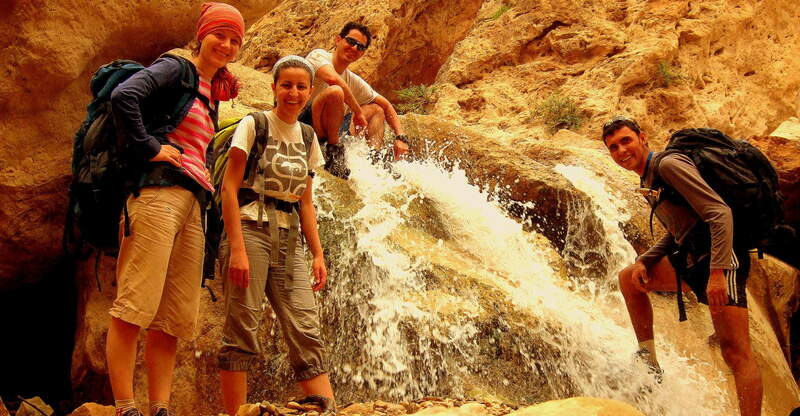 The trip involves some climbing, but even the unexperienced can manage with Atefs help. At the waterfall you can shower under it while brews some special sage tea. We came back wiser and happier. Meeting Time: between 7:00 AM and 7:30 AM. At 7:30 AM sharp we leave. Same as the meeting point above, between 4:30 PM and 5:30 PM.